We design all our school uniforms to suit Australia’s diverse seasons, from cooling summer dresses and shorts, to thick and insulating jumpers, blazers and trousers for the cooler winters. All designed to accord to your school’s unique colours, we ensure each uniform item is well constructed, well fitted and highly professional in appearance, to enhance the students’ reputation in the community. As well as the standard summer and winter uniforms, and school sportswear, we stock accessories such as hats, socks, belts, ties and bags. Each piece is constructed to be hard-wearing and long-lasting, making them a cost-effective addition to any student’s wardrobe. We have paid attention to every element in the uniform’s design so you know that, should you come across a problem, we will be more than happy to repair, credit or replace your item. We know that sometimes the last thing a parent wants to do at the beginning of a school year is to shop for a new uniform – that is why we make it easier. Best of all, our range of uniforms and school sportswear is available across Canberra, Tasmania, Brisbane and throughout Australia. Please click on a category below to view our range. If your school’s campus is located near Brisbane, you are more than welcome to visit our showroom. Alternatively, our representatives across the nation can visit your school to provide an idea of fabric quality and sizes, before you place your initial order. No matter if you live in Western Australia or Tasmania, we can come to you. Just ask us how. Why choose us as your school uniform and sportswear suppliers? With more than 45 years supplying top quality uniforms to Australia, we are well positioned as the nation’s favourite school uniforms. We have a strong passion for enhancing the quality of any school year, making it easier for students to learn and develop in complete comfort. Owned and operated completely in Australia, we are proud that our products are of the highest calibre to suit your establishment. 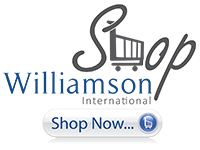 As part of the Williamson International network, we strive to offer honest and professional service at every turn, supplying uniforms to every city – from Perth to Canberra to Hobart, Tasmania and beyond. Our skilled designers are able to match your new uniforms and school sportswear to your existing palette, to keep the look cohesive within your school and add to the unity that your students feel. Whether you are after uniform supplies for your business or school, you will find everything you need in our store, customised for your unique brand and colours. With competitive prices to suit your budget, and free shipping available within Australia, we are excited about supplying our uniforms to a wide range of Australian schools.